How lazy can we get? 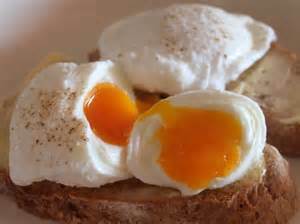 I know that it takes practice to get a poached egg just right - a perfect runny yolk - but buying one ready-made, I've heard of everything now! It appears that Mark & Spencer has come up with a ready-made Egg Royale. 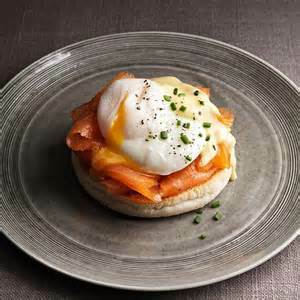 It is made up of blini topped with a runny poached egg, wrapped in smoked salmon and finished with hollandaise sauce. The dish is baked in the oven for six minutes to deliver a perfect runny yolk. A sachet of sauce is placed in hot water for one minute before it is poured over the egg. I must admit that it is baffling how the M&S chefs have managed to get a runny egg yolk in a ready meal, but they have. All that they will reveal is that it is cooked 'sous-vide', which involves sealing the egg in a vacuum pack and putting it in a water bath at a precise and consistent temperature. With this process, the egg is runny when it is reheated by customers at home. M&S's deli developer is reported as saying that egg sales are up 10 per cent as their customers love to eat eggs for breakfast and they want a perfectly poached egg, that they find stressful and difficult to prepare themselves. 'Lazy folk', I say! Marks and Spencer already offer ready-boiled eggs and runny scotch eggs, as part of a 'protein-pot' lunch and recently they started selling a ready-sliced avocado. Can you believe it? You probably can, because M&S customers are prepared to pay premium prices. The pack of two Egg Royals will cost £6 when the product goes on sale tomorrow. Maybe they will be a good option for some 'posh' people over the festive season, and it might well impress their family and friends, when they wake up on Christmas morning. For me, it's just another nail in the coffin for 'real home-cooking! Please don't be tempted.